Rumours had surfaced before that Apple was about to launch a Red coloured limited edition of iPhone 8 and iPhone 8 Plus. The fans of the brand might have a reason to be happy as according to an internal memo which was handed to MacRumours by Virgin Mobile employees, Apple is bound to announce the limited edition red colour variant of the iPhone 8 and iPhone 8 Plus today, i.e. on April 9, 2018. Virgin Mobile also confirmed that they would be adding the product to their inventory as soon as the announcement is made officially by Apple. However, for iPhone X users there is not going to be a red limited-edition variant. The red colour is only being extended to the iPhone 8 models. It is worth noting that this is not the first time we are hearing about a Red coloured iPhone 8 and iPhone 8 Plus. Previously, Rosenblatt Securities analyst Jun Zhang and Steve Hemmerstoffer, who leaked information about mobile devices through his Twitter account OnLeaks, have also fuelled the rumours before which are proving to be true right now. Mark Gurman, who is a very popular Apple reporter at Bloomberg News also supported the story. 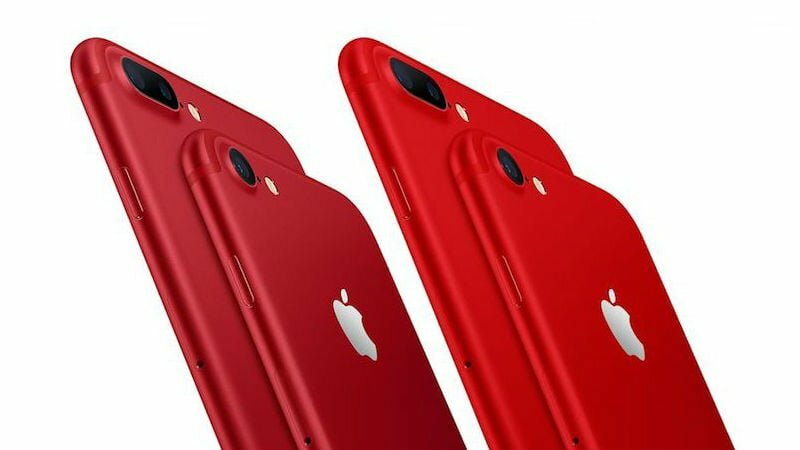 The iPhone 7 and iPhone 7 Plus have also been made into a limited Red edition in the month of March last year. However, experts are saying that Apple waited for the reports of third-quarter earnings to unveil the Limited Edition Red versions of the iPhone 8 and iPhone 8 Plus. Besides the RED edition of the iPhone 8 and iPhone 8 Plus, Apple is also expected to make a press release about the AirPower charging mat. Also, reports have surfaced about a golden variant of the iPhone X, however, there are no confirmations about the same. Apple is also expected to launch all the models in the Indian market as well like every year. Are you excited about the Red coloured variants of the iPhone 8 and 8 Plus?